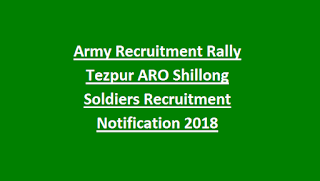 Candidates applying for Soldier Jobs under General Duty must not exceed the upper age of 21 years while for rest of the cadres maximum age limit is 23 years as on 01-09-2018. Soldier General Duty: Passed 10th class with at least 55 % marks as aggregate. Soldier Technical: Passed 12th class with Science Stream (Physics, Chemistry & Mathematics), having secured 50% marks as aggregate. Soldier Store Keeper/Technical: Passed 12th class in any stream (Science, Commerce, Arts) with 50% marks in each subject. Candidates qualifying the Physical Fitness Test will be subjected to a detailed Medical Examination. Written Test will be common for all cadres based on syllabus as per the educational standards prescribed for the post. Candidates interested to Serve Indian Army as Soldiers must fill the online application form through the official website http://www.joinindianarmy.nic.in/ before the registration gets over (13th October 2018). 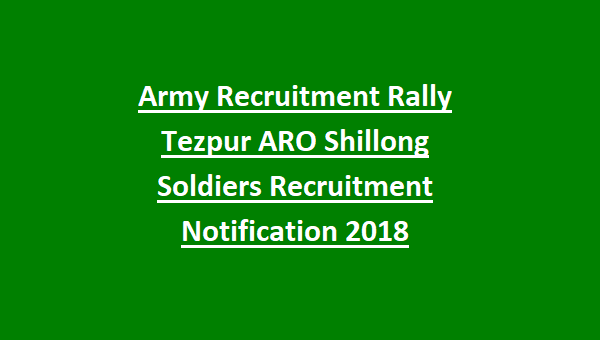 Candidates interested to participate in the Army Recruitment Rally at Tezpur, Assam for Soldiers Post can refer the official notification.